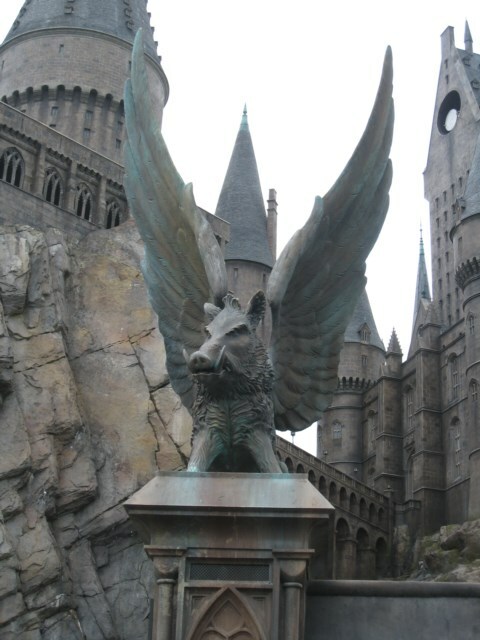 I have never read a Harry Potter book or seen a Harry Potter film; there I have said it! But I bet there are many of you out there who could say the same. 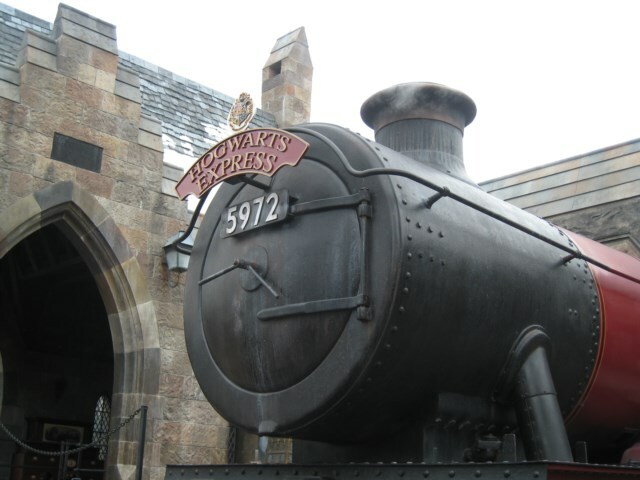 So when we visited Universal recently I wondered how much enjoyment I would get out of it. Of course no one who reads a newspaper or watches T. V. can fail to have an impression of what it is all about and know the major characters so with this in mind we set off to see what all the hoo ha has been about. 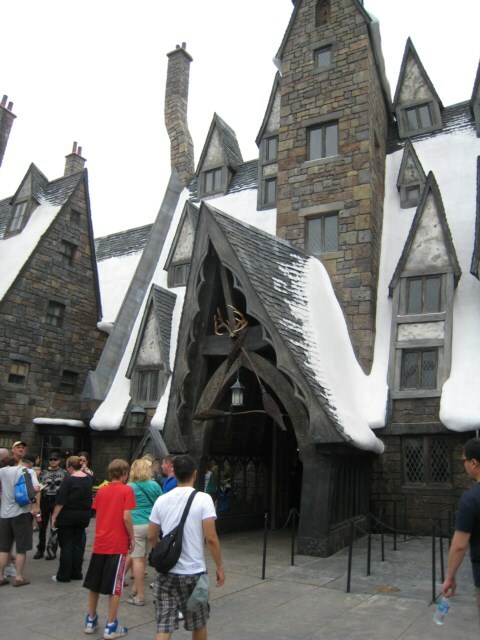 As soon as you walk into this section you are overawed by the higgeldy piggeldy buildings all covered in snow and the characters all walking about happy to be in a family photo. In fact the whole area has been superbly conceived and executed both inside and out with amazing attention to detail. There is a less terrifying coaster called ' The Hippograff' which all the family will enjoy. 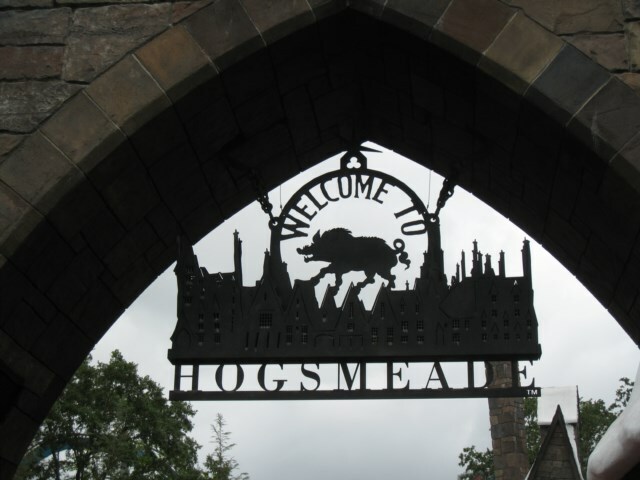 There are 3 little shows; first ' Triwizard Spirit Rally' which is a tournament that you will catch near the ' Flight of the Hippograff' the second show is a small choir with a frog chorus. The third show is before you entrance the wand shop. Top Tip: try to place your small child in front of the audience facing the desk. They then have a good chance to be picked as an assistant and at our show they were presented with a wand. You stand no chance of getting out of the shop without a wand which costs a rather surprising $25. 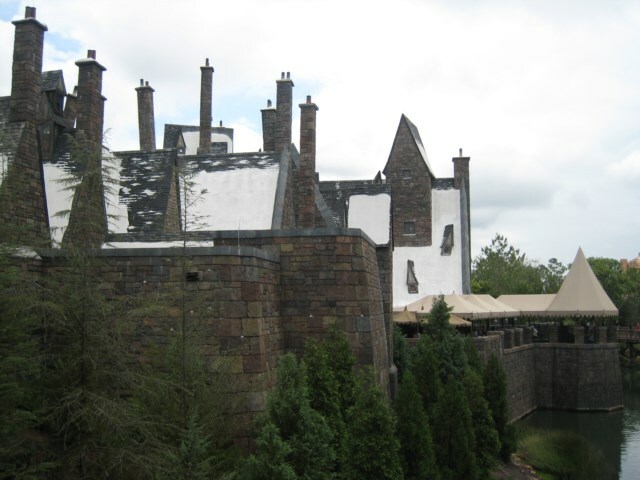 The next ride is, for sure, the highlight of your day:it is called ' The Forbidden Journey. 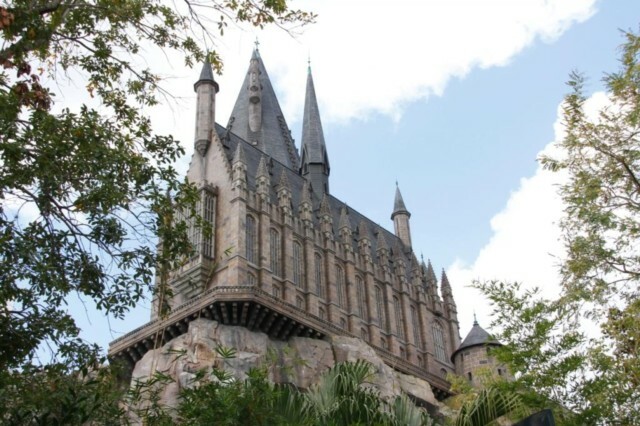 Here they have outdone the Disney imagineers and you are thrown around in your travelling bench as you encounter spiders, dragons and flying trees. Well to sum up, this is truly a must see (even if you are not a fan) Downsides, it is disappointingly small, there are not enough rides and too many long queues. 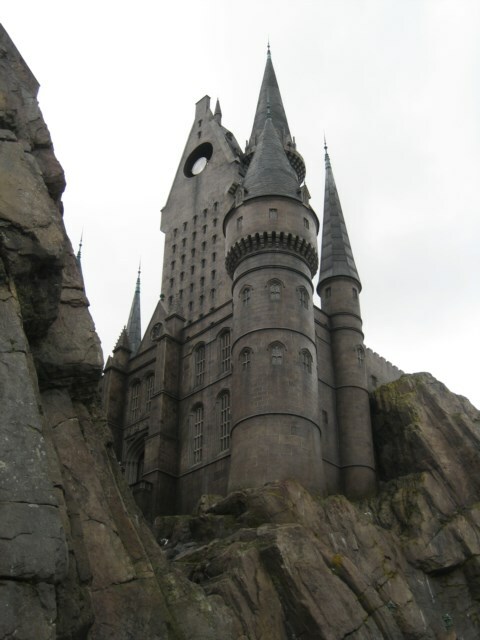 Also does ' The Forbidden Journey HAVE to shake you about so much? ) and Butterbeer is expensive and disgusting! Viewed 3325 times since 5 March 2011.